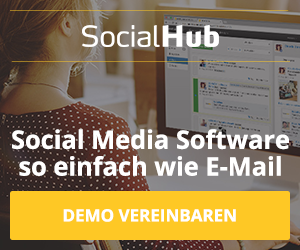 Was bedeutet eigentlich das Wort Phishing? 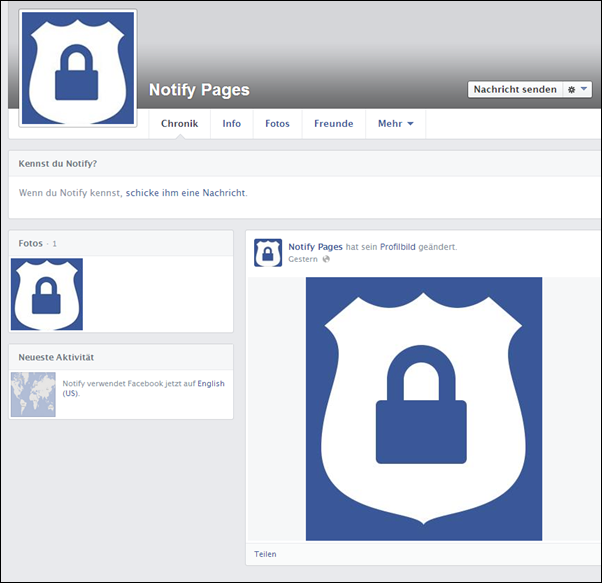 Wieder einmal versuchen Internet-Betrüger an die Daten der Facebook-Nutzer zu gelangen. Wie immer in solchen Fällen, werden diese mittels einer Nachricht versendet. 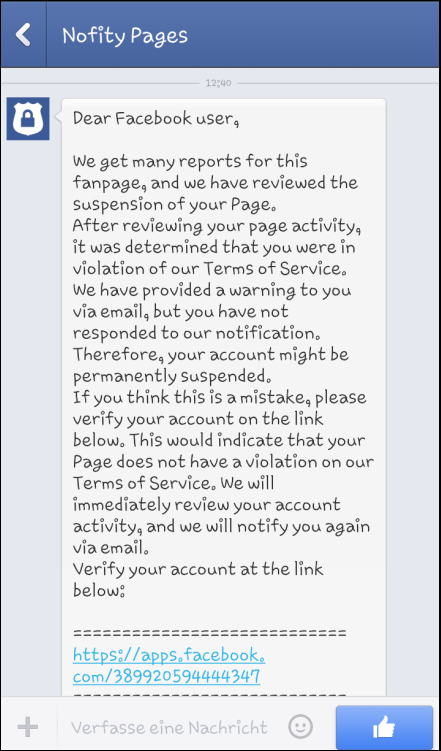 We get many reports for this fanpage, and we have reviewed the suspension of your Page. After reviewing your page activity, it was determined that you were in violation of our Terms of Service. We have provided a warning to you via email, but you have not responded to our notification. Therefore, your account might be permanently suspended. If you think this is a mistake, please verify your account on the link below. 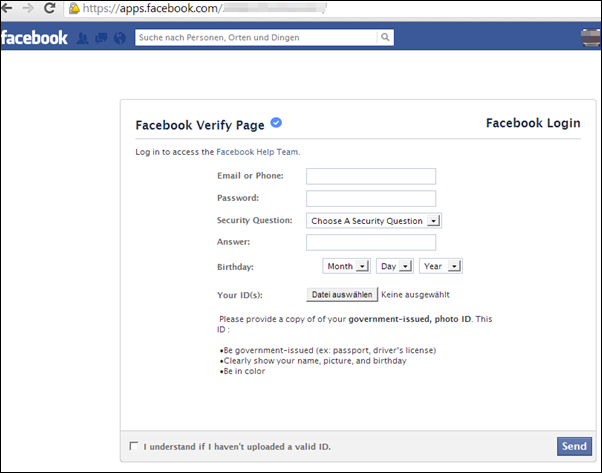 This would indicate that your Page does not have a violation on our Terms of Service. We will immediately review your account activity, and we will notify you again via email. 1) Diese Nachricht ist NICHT von Facebook! Würde man hier alles ausfüllen, dann würden alle eingegebene Daten 1:1 an die Betrüger gesendet werden! 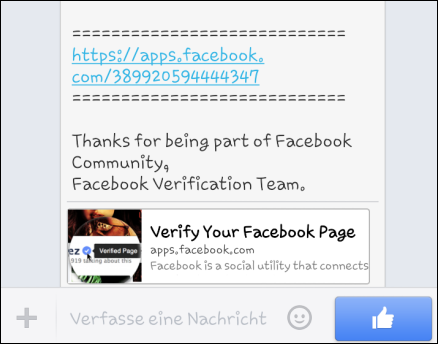 Facebook fragt nie nach der E-Mailadresse UND dem PASSWORT eine Facebook-Kontos nach. Die einzige Stelle wo man diese Daten eingeben muss ist beim LOGIN.